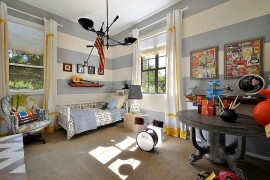 The best thing about decorating a kids’ room is the freedom it gives in terms of the colors, patterns and at times styles that one can turn to. 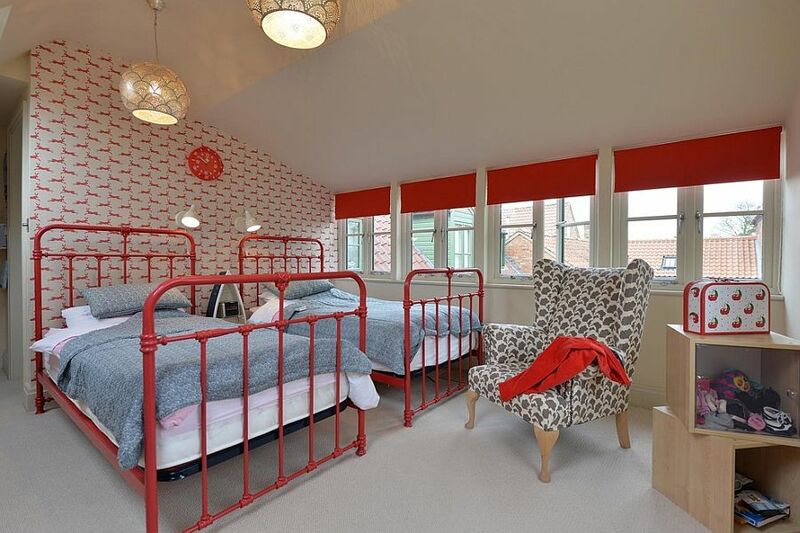 Those bright and audacious hues that are perceived to be far too ‘daring’ for the rest of the home often fit right in with a vivacious, cheerful and stylish kids’ bedroom. 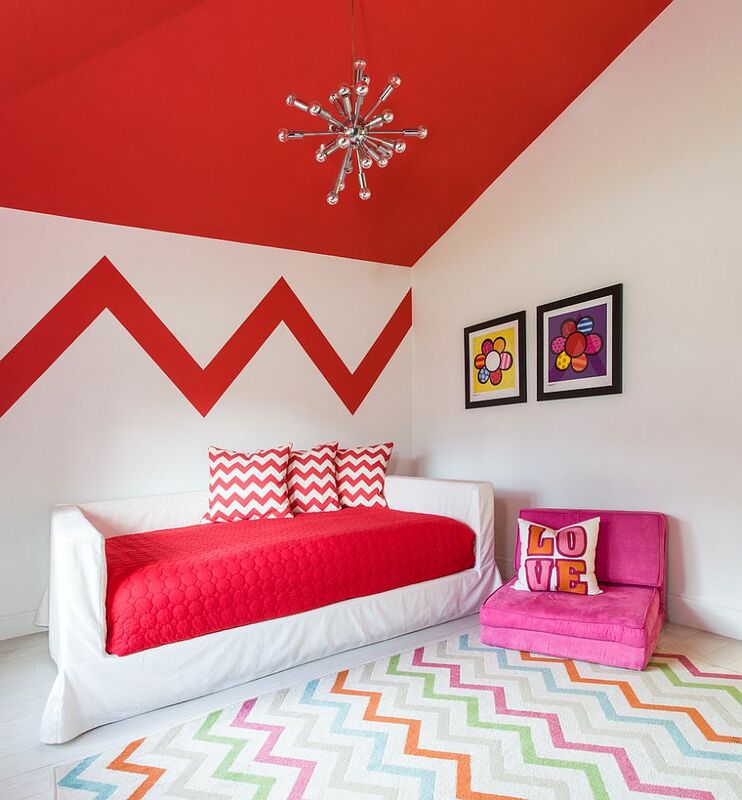 With the modern trend of creating kids’ spaces that grow along with them, bright accent hues that enliven an otherwise neutral backdrop have become more popular than ever before. 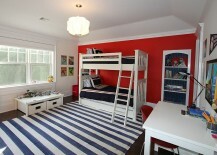 With that in mind, we take a look at some of the best kids’ rooms that celebrate red gleefully! 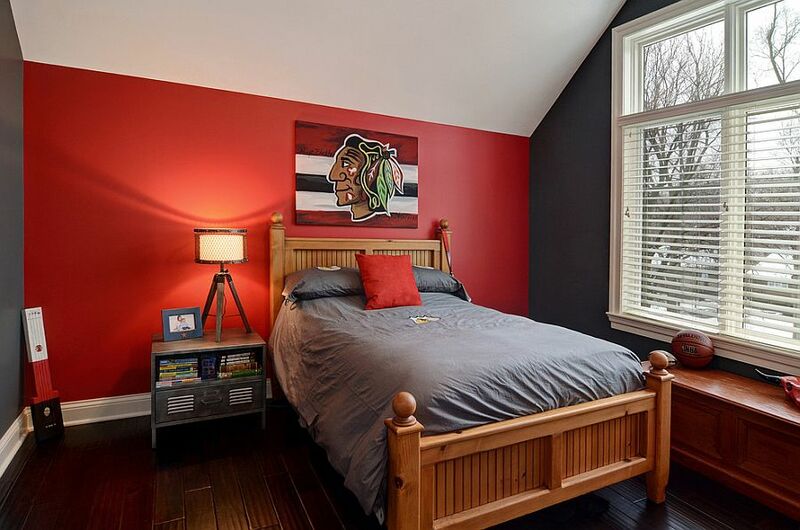 Red in the kids’ bedroom is definitely far more welcome than in the adult bedroom where many view it as a risky and gaudy proposition. When used right, red delivers what it is best known for – brilliant visual impact, high energy and plenty of glam. 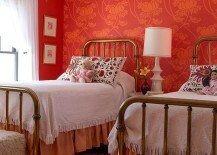 While some rooms benefit from just a pinch of red, others revel in its varied shades and tones. 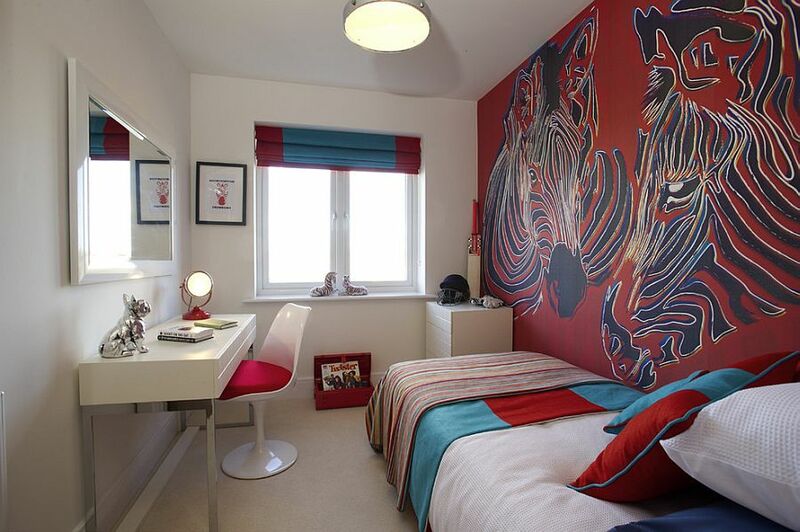 The 25 bedrooms on showcase today will offer you everything ranging from the understated to the expansive. Enjoy! 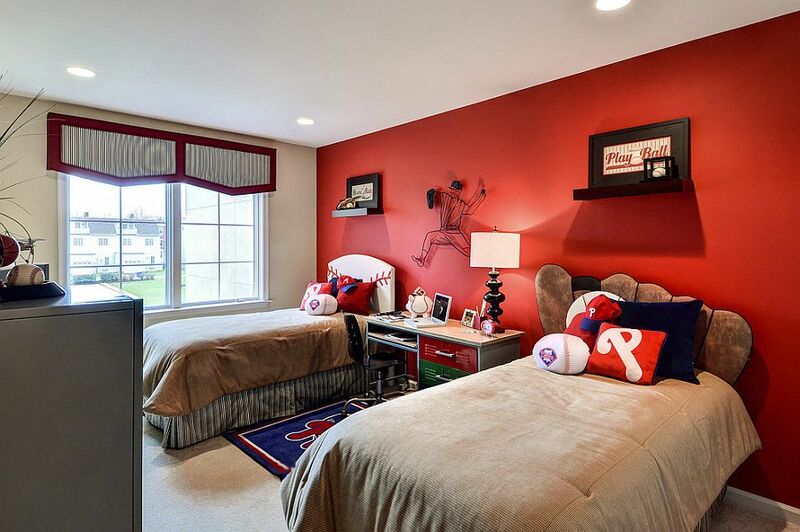 You can try out plenty of colors in the kids’ bedrooms without any of them ever seeming out of place, and 2016 is a great time to add red to this list. 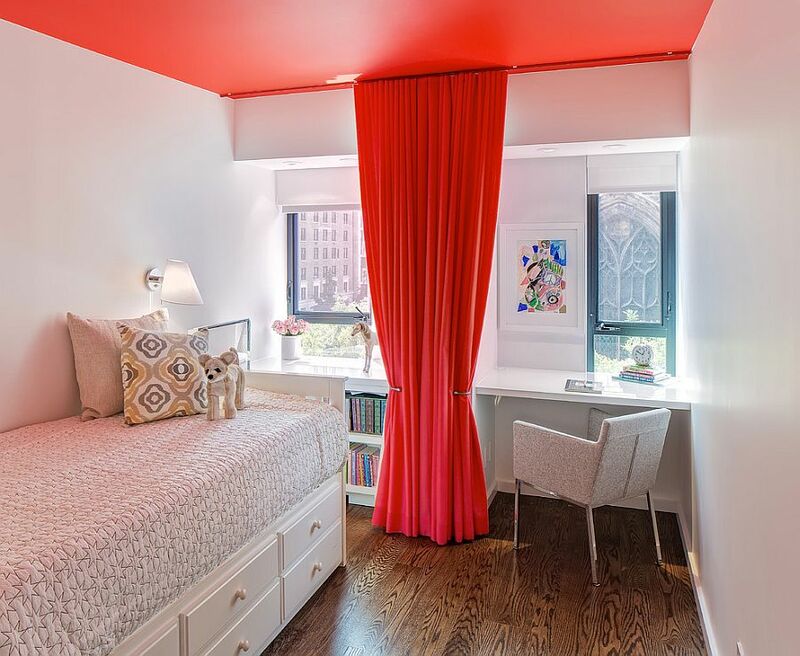 Despite being dubbed one of those bright and bold hues that is overpowering, red is surprisingly easy to combine with other bright and light hues. 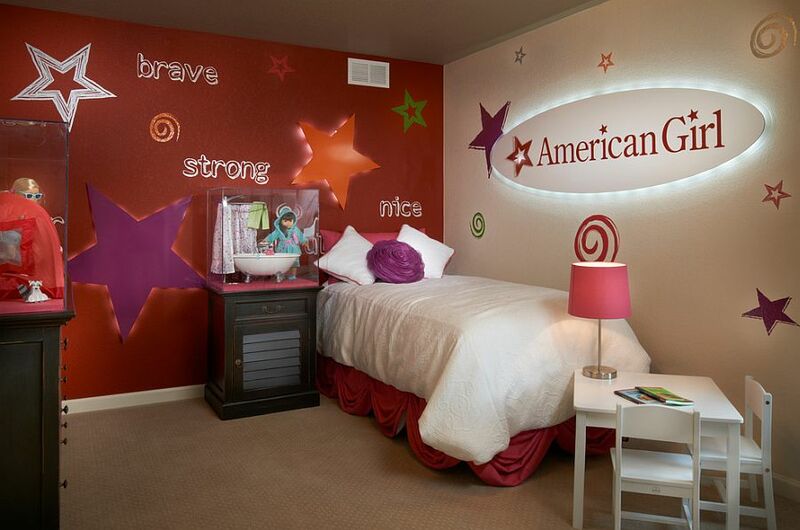 Whenever you talk of adding a dashing color, it is the accent wall that pops up first, and it is no different in the kids’ room. 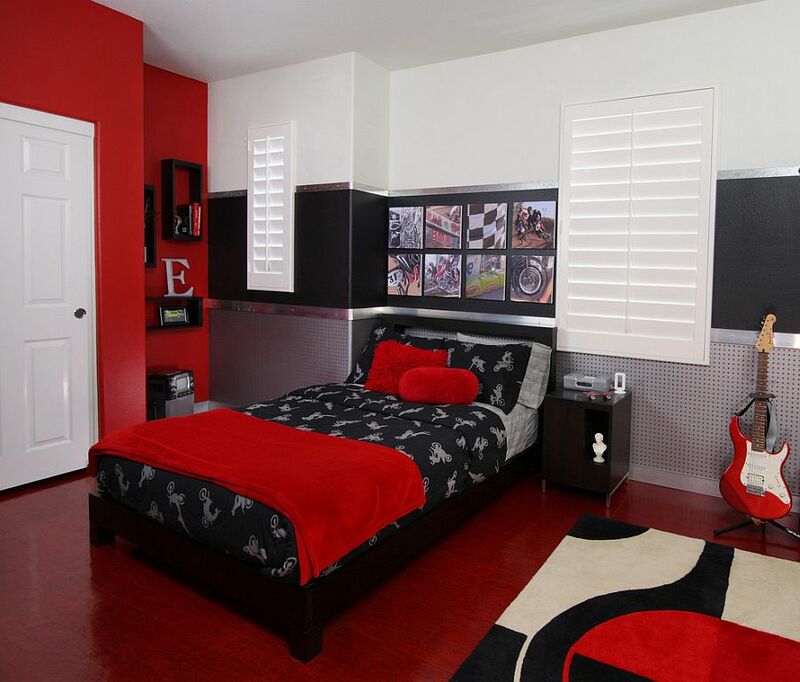 A cool red accent wall complements a wide variety of styles ranging from nautical and minimal to traditional and eclectic. 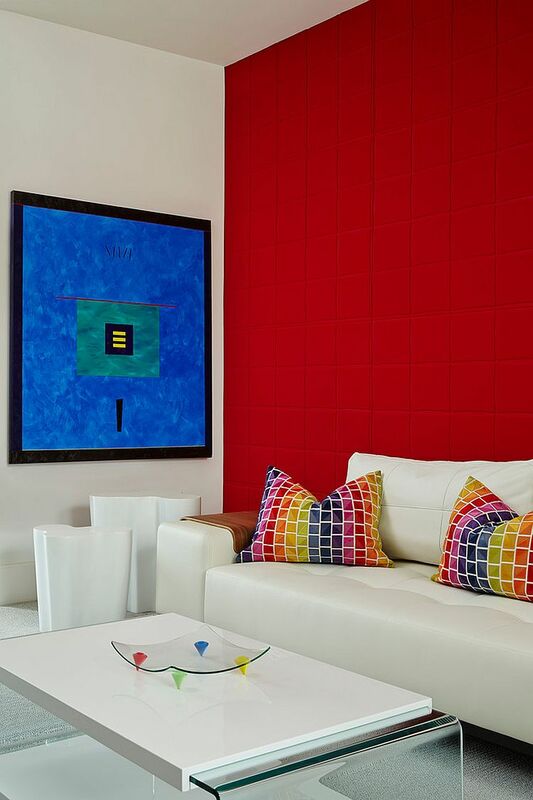 Few accent walls are as energizing and exquisite as those in red! 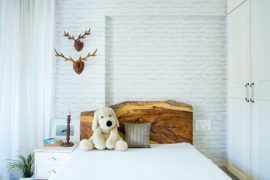 It is amazing to see how much attention is devoted to walls that surround us, yet in most homes the ceiling goes almost unnoticed. 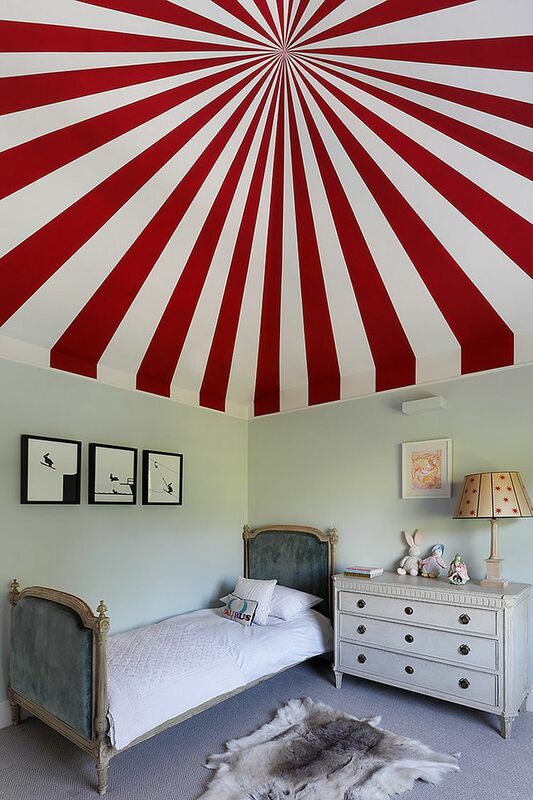 If you have a little one who spends most of his or her time in the crib, then it makes plenty of sense to create a stunning ceiling that he or she would love. 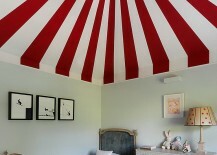 Even in kids’ rooms, the ceiling is often underutilized, and red allows you to alter this status quo with ease. 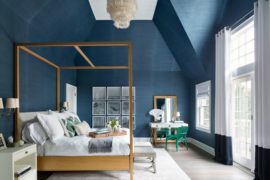 From stripes and custom murals to a simple paint job, how you transform the ceiling depends both on the style of the room and your budget constraints. A red ceiling in a room filled with white looks truly stunning, and one can even use a cool pink hue for the ceiling while the remainder of the room carries accents of red. 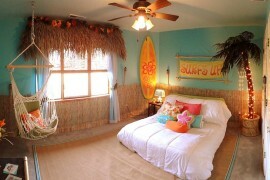 Drapes, cabinets, bedding and rugs can be used to repeat the color and create a sense of visual harmony. 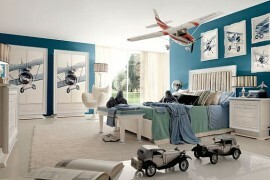 Gone are the days when you gave a kid a stick and then just asked him to get creative with it! Toady’s parents seem to plan every little detail about their lives ever so meticulously, and it is no different in the case of their bedrooms. 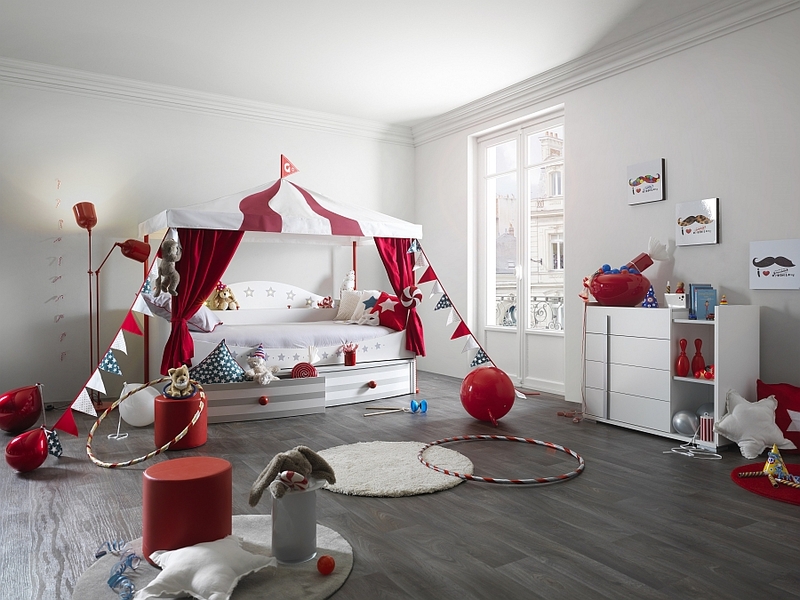 Custom kids’ rooms with elaborate themes and bespoke décor and storage units are indeed an expensive way forward, but the results are equally spectacular. Red is a great color to use in such personalized settings, as it accentuates certain features of the room, fills it with liveliness and induces the right amount of dynamism. 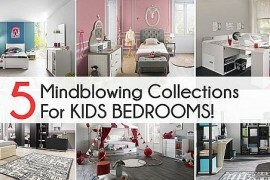 From custom beds, bedding and bedside tables to entire collections that sweep you off your feet, the choice on offer here is endless. 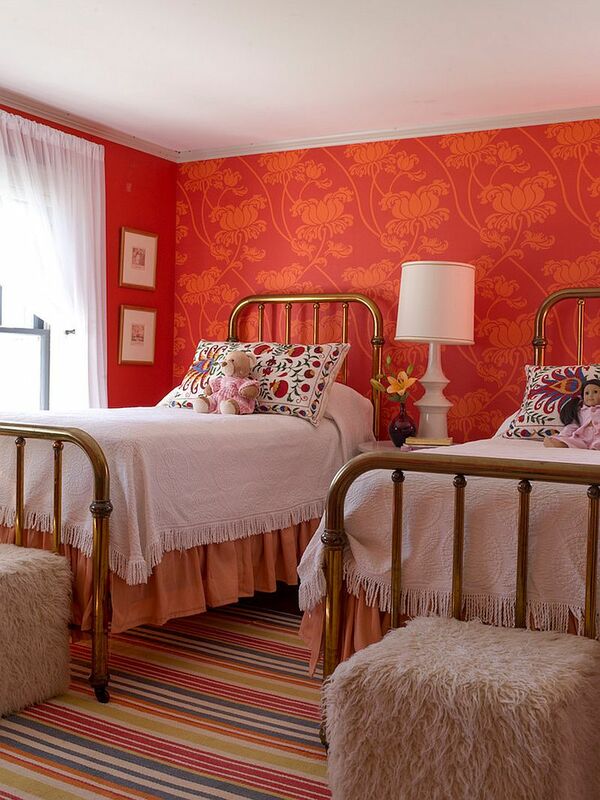 Decorating the kids’ room involves much more than color alone, and wallpaper is the perfect and often the easiest way to add some pattern along with a gorgeous splash of red. Grasscloth wallcoverings take this a step further by bringing texture, while graffiti and wall murals blend colorful zest with ingenious patterns and inspiring artwork. 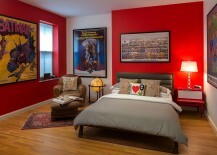 If the room is filled with too much in terms of pattern, then it is best to tone down the red to minimize visual clutter. 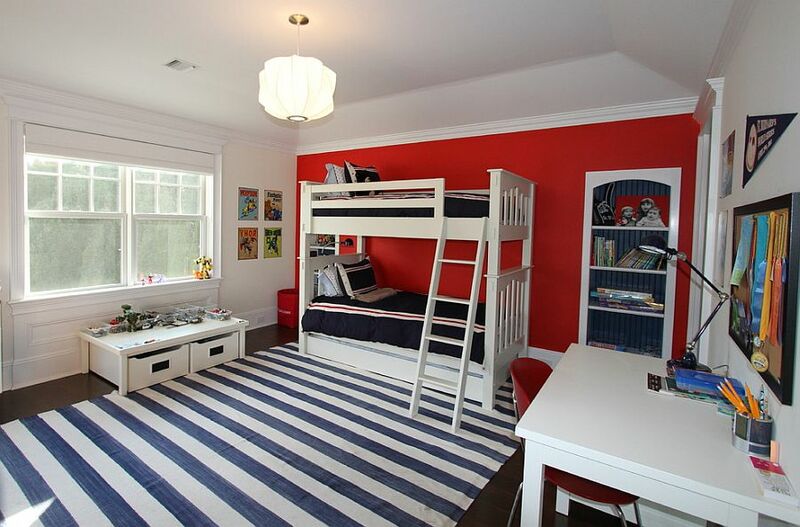 As we alluded to earlier, red feels right at home when used in a wide variety of styles, and one of the most popular among these in the boys’ bedroom is the beach / coastal style. Of course, the presence of navy blue and red gives these rooms a more nautical appeal, but most kids seem to instantly love this look. 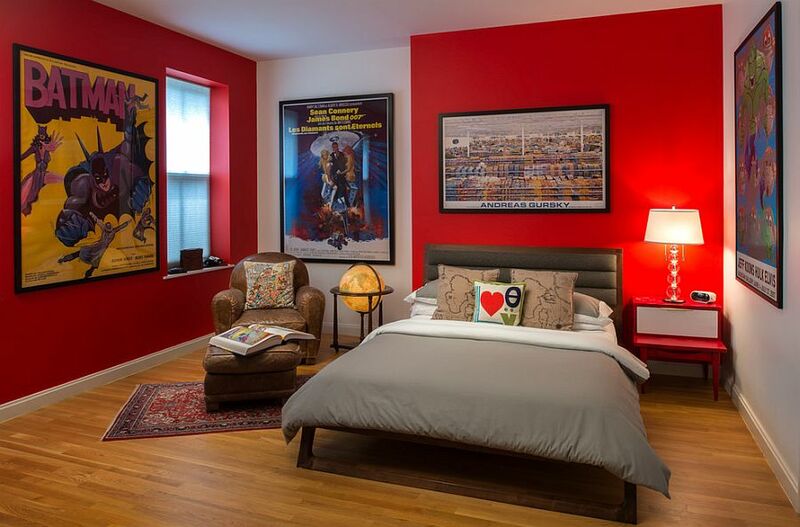 Then there is the traditional bedroom filled with curated modern décor, a comfy wooden bed and wonderful lighting that also incorporates red effortlessly. 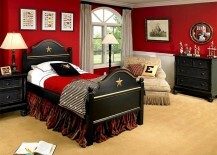 Style is barely a constraint for those looking to embrace the magic of red! Мы предлагаем заказать и купить чай у нашего менеджера.